Connecticut controlled substance license for Janice Lee, at Hartford Gyn abortion clinic. 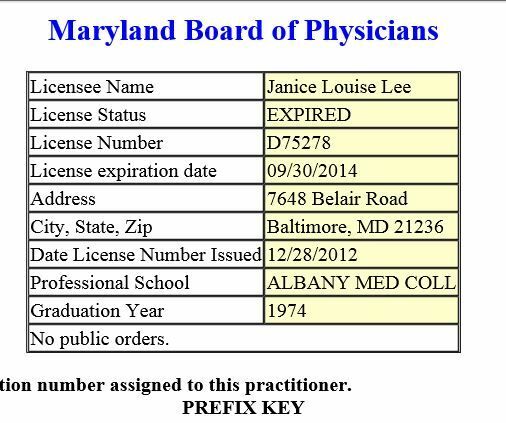 Massachusetts medical license application file for Janice L. Lee, MD. File begins on page 3. Connecticut medical license profile for Janice L. Lee, MD, as of Nov. 2017.